Pick Analysis: Productive high school cornerbacks who excel in track are coveted by college coaches, so it was no surprise that Price was a highly sought after recruit after racking up 15 passes defended as a senior and winning a state title in the long jump and finishing second in the 100- and 200-meter dashes. Price started 11 games in his true freshman year, making 48 tackles and breaking up two passes. 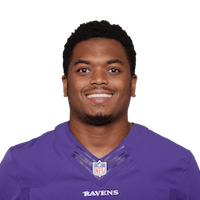 He again lined up with the starting 11 as a sophomore (25 tackles, 7 pass breakups), though he missed three games due to a sprained right knee ?- an injury that would return in 2011, keeping him from two contests. He started the other 12 contests, though, making 47 stops, getting his first interception against San Jose State, and breaking up seven other passes during the season. As a senior, Price played in all 14 games. He only managed 37 tackles, but had his biggest year in terms of interceptions, as he picked off four passes. In addition to this, he also managed to deflect five passes.